For the 2014 model year, Audi now offers the S4 Black Optic package, which enhances the 2014 Audi S4’s already bold curb appeal with 19-inch smoke-colored wheels and other exterior upgrades. The 2014 Audi S4 is a performance-tuned variant of the A4, which means it comes with the added benefit of bolstered standard options; one of which are 18-inch wheels which complete the 2014 Audi S4’s aggressive stance. The all-new Black Optic package boasts 19-inch smoke-colored wheels and high-gloss black exterior paint. The sole engine powering the 2014 Audi S4 is a supercharged 3.0-liter V6 that pumps out 333 horsepower and 325 lb-ft of torque. 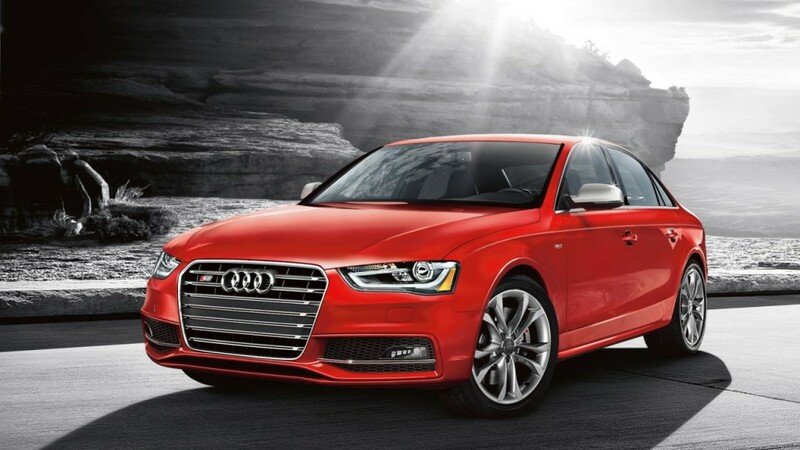 Those impressive performance figures propel the 2014 Audi S4 from 0-60 mph in just 4.9 seconds. The high-performing V6 in the 2014 Audi S4 still manages to return a respectable 18 mpg city and 28 mpg highway when equipped with a manual transmission, despite its high output. The interior of the 2014 Audi S4 boasts the same premium feel of the A4, but with some welcomed enhancements. The 2014 Audi S4 boasts eight-way power front sports seats with driver memory, tri-zone automatic climate control, Bluetooth, and a Multi Media Interface (MMI). The 2014 Audi S4 boasts a comprehensive airbag system, as well as standard antilock brakes, stability and traction control, and hill launch assist. There is also a rearview camera, blind-spot warning system, and rear parking sensors available in the 2014 Audi S4.